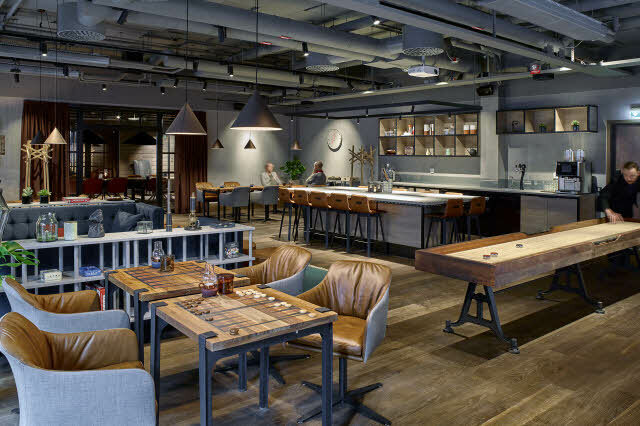 Amidst the unmistakable big city vibe of central Stockholm is where Scandic has opened a new signature hotel for urban explorers. Downtown Camper is within walking distance of the central station as well as shopping, restaurants, excursions, parks and cultural events. This is the ultimate base from which to explore the city. Welcome to our inspirational lifestyle hotel with an atmosphere that promotes affinity, creativity, curiosity and the joy of discovery. As a hotel guest, you can enjoy our daily activities at no extra cost ranging from running and yoga to wellness workshops and inspirational lectures. At Downtown Camper, nature meets metropolis, and Stockholm locals meet visitors. Here, luxury means generosity, togetherness, inspiration and experiences. Our 494 rooms range from small smart rooms to suites with magnificent views over Stockholm. Travelling with friends and family? Book connecting rooms with communal social areas where you can hang out together just like at home but with room service! For up to 12 people. Rather than traditional conference rooms, we opted for 5 creative spaces, each with a character of its own. We’ll happily recommend exciting activities as well as relaxation opportunities for you in our great city. See Stockholm in a different light - our Lifestyle Concierge is here to guide you through our community of local profiles and partners. On the rooftop, far above the vibrant pulse of the city, with an astonishing view over Stockholm you will find our magical wellness area The Nest. Meet Downtown Campers Lifestyle Concierge Kristian Hell - your guide to new experiences. Unique rooms for large groups that can take up to 12 guests. Find our more! Downtown Camper is the ultimate basecamp to absorb the city. A hotel for locals, travellers and urban explorers. Instead of traditional conference rooms, we have five uniquely-designed and inspiring social spaces, where you can let your curiosity and creativity surface. Our rooms are perfectly designed for the modern company’s team building activities, workshops and social meetings.